What makes a potential investment area attractive? Some investors will avoid areas because there’s a high proportion of rental properties or it’s a dirty looking industrial town. They might favour suburbs where they would like to live themselves, but this is not relevant. What matters is whether other people want to live there, because this is what makes an investment area attractive. 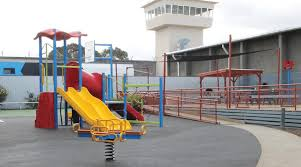 Risdon Vale is an outer suburb of Hobart and it’s also where Tasmania’s maximum-security male prison is located. It’s not what most would call an attractive place. The area is dominated by massive walls skirting the jail’s perimeter, topped with coils of razor wire and the night sky is penetrated by floodlit guard towers and the howling of ferocious guard dogs. Coupled with the constant threat of rampaging escapees running amok through the town, surely here is a place that could be called “unattractive” and deter any potential residents. Yet, here’s the thing, Risdon Vale has the highest housing rental yield in Hobart and it’s driven by genuine rental demand. 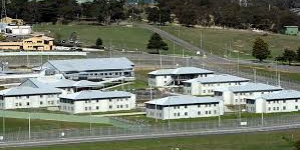 The source of housing demand comes from the wives and partners of the inmates, who rent properties in Risdon Vale to be near their incarcerated loved ones for conjugal and family visits. The irony is that the higher the incidence of burglaries, murders and other serious crime in Tasmania, the greater will be the demand for rental properties in Risdon Vale. The importance for investors is not that you might find such places unattractive or even dangerous, and that you wouldn’t want to live there – what matters is whether other people want to live there, creating housing demand in the process.